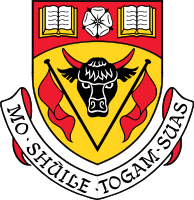 The University of Calgary is a research-intensive public university in Calgary, Alberta, Canada. The University is composed of 24,000 undergraduate and 5,500 graduate students. 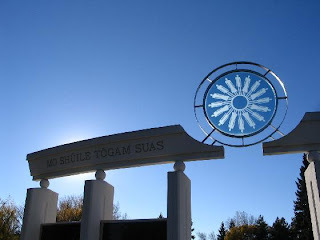 Initially the Calgary Branch of the University of Alberta in the first half of the 20th century, the University of Calgary separated from the University of Alberta, and was founded in 1966. 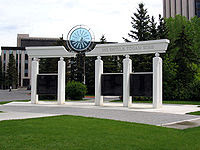 The University of Calgary, or "U of C", is composed of 16 faculties including a teachers' college, law school, and medical school. In 2008 the University of Calgary opened a veterinary school bringing the number of faculties to 17. 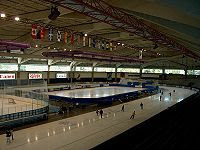 The campus is in the north-west quadrant of Calgary. The University of Calgary is one of the top research-intensive universities in Canada with seventh most Canada Research Chairs. 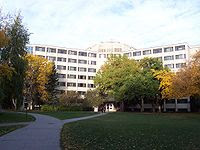 he University of Calgary has a full complement of academic programs ranging from pure science to social science in areas such as psychology and economics, to several options in the field of health sciences. With access to several professional schools, including the Haskayne School of Business, the Schulich School of Engineering, the Faculty of Medicine, the Faculty of Law, the Faculty of Education and the Faculty of Veterinary Medicine, students keep their options open, and discover their own personal passion. The U of C also encourages multi-disciplinary programs, meaning students can combine their interest areas and create an education that suits them. The University of Calgary has 17 faculties with more than 60 departments and more than 30 research institutes and centres. The 17 faculties are: Law; Nursing (Calgary); Nursing (Qatar); Social Work; Communication and Culture; Education; Environmental Design; Fine Arts; Haskayne School of Business; Humanities; Kinesiology; Medicine; Schulich School of Engineering; Science; Social Sciences; Veterinary Medicine; Graduate Studies; and Continuing Education. The university recently opened a campus in Doha, Qatar, offering internationally accredited nursing degrees to students in the Middle East. University of Calgary-Qatar will work with the Hamad Medical Corporation to offer world-class clinical nursing education to educate nurses for clinical specialties and to develop a sustainable nursing workforce. Graduates from the Qatar program will meet the same Canadian and international standards for nursing as students from the Calgary campus. Canada’s fifth veterinary school and the first newly created program in more than 20 years—the University of Calgary’s Faculty of Veterinary Medicine—opened its doors to students in September 2008. This innovative four-year doctor of veterinary medicine program leverages the principles of integration, collaboration and technology to offer a multi-species/multidisciplinary core as well as three specialized curricular streams: food production, population medicine and investigative medicine. 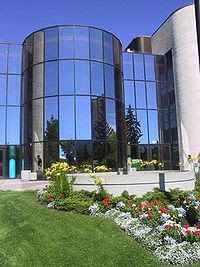 The Faculty of Medicine and the Faculty of Veterinary Medicine are located on the south campus adjacent to the Foothills Hospital. The Kananaskis Field Station, located a short drive from the city on the eastern slopes of the Rocky Mountains, and the Rothney Astrophysical Observatory, located in the foothills south of the city, represent satellite institutes of the university.